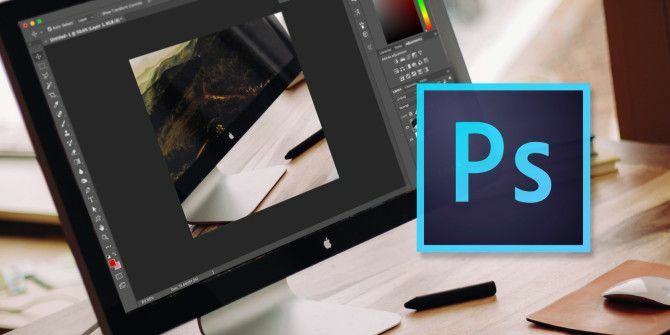 The best way to learn Photoshop 10 Websites to Make You a Photoshop Ninja 10 Websites to Make You a Photoshop Ninja The web is full of amazing resources that you can use to become a Photoshop expert in no time. Here are 10 of the best... Read More is to take on an actual project. Tasty Tuts is a great place to learn Photoshop, and their YouTube channel is a must-stop on your learning journey. It has fresh new content for you every month, which is great for someone trying to catch up with the digital arts. Their latest free offering is a 33-episode course that will teach you how to design a book cover for a children’s book from scratch. Though it’s meant to be a beginner’s guide, it can also be a refresher course for anyone who wants to sharpen their skills. The 33 videos will teach you all the basics of Photoshop, and your newly acquired book design skills will come in handy with indie and self-publishing on the rise. Download the course project ZIP file, available for both Windows and Mac. The project might seem like a complex one, but it makes it easier by using common creative tools followed by lessons in typography and Photoshop effects. It also mimics the real-world workflow of a book cover design brief. So, it’s not only about learning how to use a Pen tool, but also how you can manage a project from start to finish. The secret is the tips and tricks of layer management. For instance, this project uses five folders in the Layers panel to contain the whole project. Do you think using a project-based approach is a better route to master the complexities of Photoshop? Explore more about: Adobe Photoshop, Creativity, Education Technology, Graphic Design.